Things are going GREAT in Minnesota. I'll set the scene. We have the Timberwolves, fresh of signing Karl-Anthony Towns to a lucrative extension that made him the bonafide franchise centerpiece (as if there were any doubt), in the middle of training camp. You also have Jimmy Butler, who technically plays for the Timberwolves but is avoiding the team because he wants to be traded. 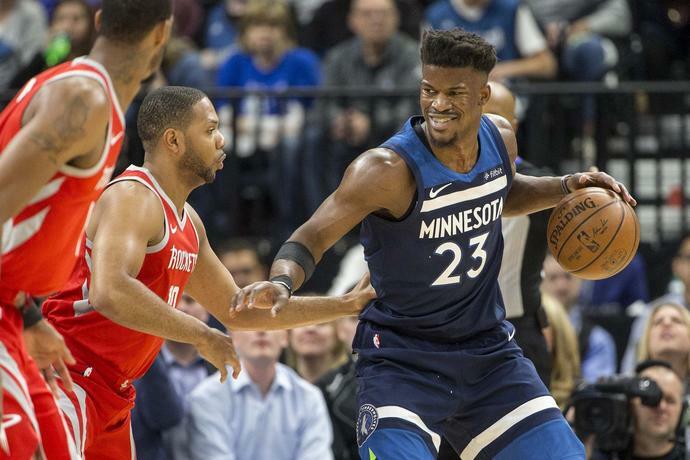 Something about not liking KAT, or being sick of Andrew Wiggins jumpers, or valuing his knees in a way that head coach Tom Thibodeau clearly does not. Vociferous. Vociferous in every way. Owner Jeanie Buss is expected to sit in on the interviews.